Interiors...by juleen understands the practical side of design to help you make the most of your design dollars so you can have a fresh new look that reflects who you are and how you want to live. We enjoy working with you to create your new space. We offer interior design and decorating services, furniture and accessories selection, space planning, colour scheme designs, staging and more. We also help with floor plan layouts when you're building or renovating to ensure a streamlined, effective, best use of space. Call us for a complimentary one hour design consultation in your home. Home is so much more than just a house. This is where you raise your children, return from a busy day at work, where you spend time with family and friends making memories to last a lifetime. Home is where you come to relax and recharge; we want your new or renovated home to be a reflection of you, your lifestyle, your values, and your dreams. As we build new and renovate existing homes, we add to the diversity and integrity of our communities. We believe that good design encompasses the relationship between inhabitants, structure, environment, and community. Each client has a unique vision of the place they want to call home, and we endeavor to bring that vision to life. We work closely with local contractors and sub-trades, craftsmen/women, retailers and the likes to ensure that your project meets or exceeds your standard of lifestyle. With our cutting edge technology you can view your home in Virtual Reality during the design process. These capabilities allow us to really feel the space before it gets submitted for permit, to know it and understand how your family will function living there. We all need a place to call home, and we want you to love where you live. Locally owned and operated since 1972, Norelco Cabinet Solutions has been designing and manufacturing superior cabinetry from our location in picturesque Kelowna B.C. We are able to offer beautiful, affordable cabinets for any room in your home by providing European technology, innovative designs and exceptional service to customers throughout Canada and the Western US. With our vast selection of styles, finishes, decorative features and functional solutions, we can customize your cabinetry to suit your lifestyle. 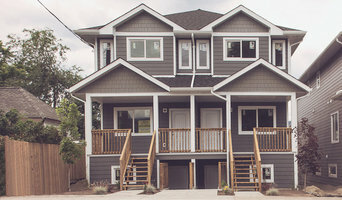 Haute House Design is a full service Boutique Design Studio located in Beautiful Penticton, British Columbia. We specialize in residential and commercial interiors and offer a comprehensive design and decorating service resulting in comfortable, functional and thoughtful spaces, reflective of your personal vision. Interior Decoration is an art that should enhance the technical design of a particular space. 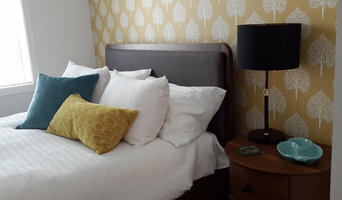 Through the use of colour, textiles, textures and soft furnishings, we will capture the personality of the residents and give expression to their style in a way that is both functional and beautiful. If you are looking to design your dream home, let us help make that vision come true. Give us a call at (250) 770-1033 or click the "Contact Me" button to send us a message. We look forward to working with you! Tara Treadgold is known for mixing pieces from different periods and making them cohesive in the same space. The "old meets new" approach puts a modern twist on traditional spaces and injects luxe and classiness into twenty-first century interior design. She is renowned for her strong use of vibrant colors, patterns and textures and focus on natural light. The aim is to achieve a functional, aesthetically pleasing environment characterized by unparalleled quality and comfort that is unique to you. Her career in interior design includes projects of full home renovations, investment properties, home additions, new builds and creating up-scale basement areas. 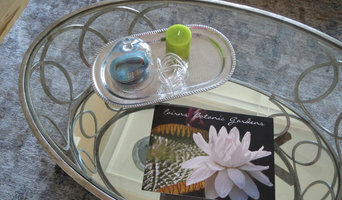 A graduate of The Interior Design Institute - Canada, Tara will assist you in your vision to create your perfect space. Tara Treadgold will help you to avoid costly mistakes that will not only help you save time and money but will also add value to your home. She will assist you with a solid plan to determine what can be repurposed and what should be edited. This will not only affect the budget but will also help you to spend it more efficiently and in the allotted amount of time. Acting as a liaison, Tara will build a stronger bridge between you and your architect or contractor so there are no misses in your overall plan. With contacts and business relationships with the best in the industry, satisfaction of your new space is ensured. My experience has taught me that good design begins with functional space planning. This is the foundation of Lisa Robazza Design. Renovations, top ups, and additions are specialties with 15 years' experience in hand. 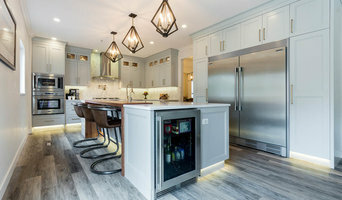 Kitchen design and millwork, finishes, lighting and electrical designs, and project management complement design work and ensure a beautiful result. Please call me to book a consultation. Together we can make the space you live in the home you love! Nightingale Design is a full service interior design firm specializing in residential interior design. We are pleased to announce we are expanding and have opened our second location in Kelowna BC. We now can offer our award winning design in both Vancouver and the lower mainland as well as the interior. Our design team brings to our clients fresh, new ideas to produce spaces that truly reflects the lifestyle that our clients have achieved. Rock House Style, the illustrious, award-winning Canadian based interior, fashion and life design firm is renowned for its broad range of styles, global visionary points-of-view and luxuriously sophisticated and comfortable interiors. 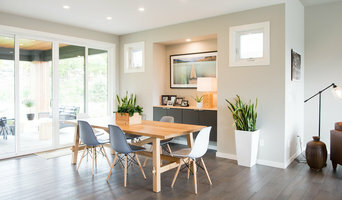 With offices in Kelowna, Edmonton and Shanghai, the Rock House Style team approaches each unique space with the intent to make it beautiful and give it soul. Rock House Style is a pairing of the extraordinary visions of mother-daughter duo, Cheryll Gillespie and Sam Shakura. Forged through a lifetime of love and like-minded passion for interior design, art and fashion, their fresh perspectives have created a sensational buzz in the world of ‘Fabulous Living’. Cheryll and Sam are maestros of magical interiors, alchemists capable of conjuring sublime, conversation-starting spaces that balance extravagance and approachability.